One of Hip Hop’s cultural icons Rick Ross has a new album. “God Forgives, I Don’t.” That’s the title. He’s 36 years old. Kinda old to be making music for 16 year olds and up. He’s old enough to father his listeners…to some who don’t have a father, he can be the one they wish they had. Millions of young people who look for an identity, an image to conform to feel accepted in culture…this is a mantra that will be repeated. “God Forgives, I don’t.” Kinda like Drake’s “Y.O.L.O” (You Only Live Once) or Lady Gaga’s “You were born this way”….Every rapper/pop artist that is popular in culture seems to not just make music, but deliver a message. One that influences and shapes behavior, fashion, language and mindsets. 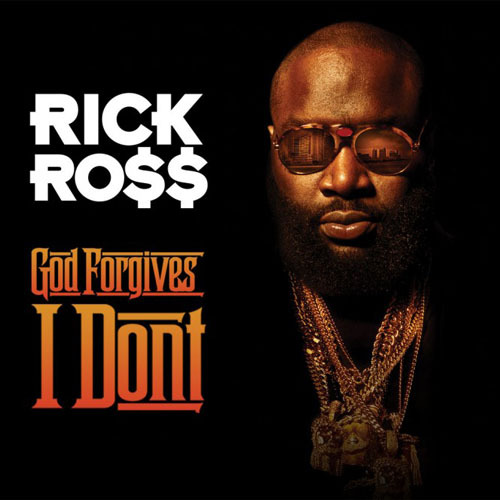 This message “God Forgive, I Don’t” is plastered on billboards, magazine ads, branded on iPod and iPhone screens as beat-induced listeners rock their heads back and fourth to the music of Rick Ross. It’s kinda hard for this generation to walk with “The Jesus Mind” when thoughts and ideas like this are permeating the culture and music they are listening to. Jesus forgives. He taught us why we should forgive and the supernatural power forgiveness offers. As a spiritual life trainer, counseling many people and ministering to them in prayer, I have seen the emotional and spiritual chaos refusing to forgive releases into a person’s life. I’ve even seen people healed of cancer, fibroids and other conditions AFTER releasing unforgiveness from their hearts. A person can never live at peace and in freedom with unforgiveness in their heart. We weren’t created to live carrying that in our hearts. When you’ve suffered a personally degrading and emotionally traumatic experience from someone, I understand the hurt it can bring. Many people would tell me, “I know Jesus wants me to forgive, but it’s hard.” I respond and say, ” When you think about it, it’s actually harder HOLDING ON to the circumstances. That’s harder” Living everyday with bitterness, anger, heaviness on your heart is no way to live. It doesn’t change anything, it doesn’t hurt the person who hurt you and you only hurt yourself in the process! The remedy for letting go of hurts is receiving more of God’s love for you. The more you receive His Love, the more it replaces the hurt and any feelings of revenge. Here is what the Jesus Mind knows about unforgiveness. Jesus Mind Principle #10: God Forgives, so do I. To refuse to forgive is to refuse to obey God and receive His personal forgiveness to you and your sins. Rick if you are reading this, I know you have albums to sell and a living to make. But I pray you really don’t believe the message you boldly placed on your album and I pray more importantly that the truth of forgiveness will be revealed to our youth. Im asking all readers to share this with their youth. Teach them the blessings of forgiveness. The freedom it brings. The joy it creates. The windows of heaven it opens up. Let’s become and remain “Jesus Minded”. Forgiveness is divine. It is a choice. If God forgives, and you don’t, then what does that say about you? Have you struggled with unforgiveness? How did you overcome it? Please share along with any resources that may help. Great article. May God continue using you.